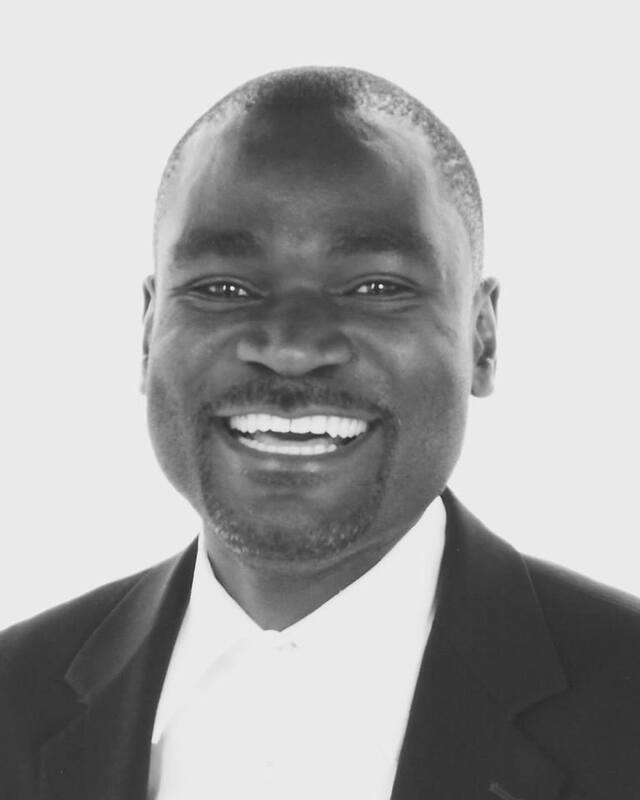 Mwamba, Kasama and the changing political landscape in Zambia | Elias Munshya, LL.M, MBA, M.DIV. The resignation of Geoffrey Bwalya Mwamba (GBM) from the Patriotic Front (PF) to the United Party for National Development (UPND) is a game changer. It is a game changer for both the PF and the UPND. It is rather fascinating, if not shocking, to see how GBM is managing to champion two causes that seem to be contradictory with each other. On one hand, GBM is saying that the people of Kasama should trust him because he had the courage to stand up to President Sata when Sata refused to recognise Henry Sosala as Chitimukulu of the Bemba people. On the other hand, GBM is also claiming that he is the true representative of the legacy of the late president. The speech GBM gave when he defected to the UPND shows that he had issues with Lungu’s PF because Lungu has neglected Sata’s vision (whatever that means). Politics is not supposed to make sense. And that is where the GBM factor becomes politically lethal to Lungu’s PF. GBM seems to be championing a cause and directing a narrative that the PF has failed to champion: the legacy of President Michael Sata. It has been my opinion that the presidency of Michael Chilufya Sata was one of the least successful legacies Zambia has ever had. 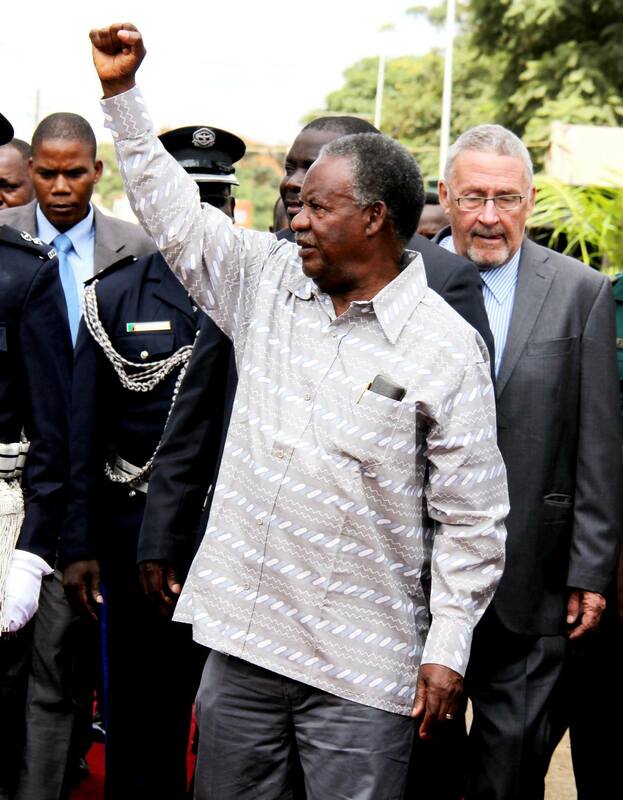 However, some people now would still look back to the Sata presidency, get nostalgic and ruminate that Sata was better than the man who succeeded him. This is to be expected. A claim to the legacy of President Sata has now become politically desirable, and it is GBM who is winning that debate. GBM is also winning on the question of the Chitimukulu. In spite of the fact that it is Lungu who finally recognised Mr. Sosala as Chitimukulu, it is surprising that Lungu’s PF has not gotten any significant political capital out of it. For the PF to survive, it must keep the support it enjoys in Bemba areas. The political capital out of the Chitimukulu saga is instead going to GBM, and he is exploiting it very well. Lungu has neglected to drive the narrative of the Chitimukulu story. He is non-existent in the whole story. It is GBM who is being credited for something that took Lungu to correct. Lungu should now retake this narrative if he is to survive the coming Bemba political onslaught. I call it an onslaught because that is exactly what it is. 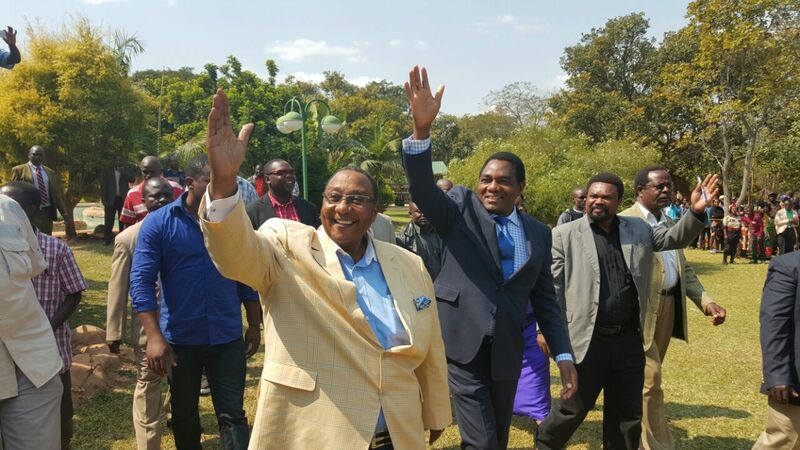 GBM’s decision to re-contest Kasama might hurt the PF strategically. At the strategic level, GBM does not need to win Kasama in order to damage the PF’s claim to its Bemba strongholds. All that GBM needs is to create a framework in which the Bemba areas begin to listen to UPND and Hakainde Hichilema (HH). GBM might win in Kasama, however, a loss for GBM, is likely to be a loss of a battle, but not the war. In a wider scheme of things, what UPND needs in the Bemba lands is to raise its profile by just a small margin. Everything else being equal, if UPND raised their numbers in Bemba lands by just a quarter, they will surely make government next year. It is this reality that should make Lungu re-strategise, otherwise, he will be a half-term president, like his older brother Bwezani. When it comes to strategy, Lungu made some errors that need correcting. It was all clear that the PF was a Bemba dominated party. When Lungu took over as president, he labored under a false assumption that the PF was a “national party”. In reality, the PF had never been a “national” party. It was and still remains a Bemba dominated party with a huge urban following. If these two constituencies leave the PF, it will collapse. With these realities in mind, Lungu needed to manage the party better. It was expected that the Vice-Presidency would go to Madam Inonge Wina. This was an excellent choice. But Lungu needed to create a powerful position that would calm some jitters among Bembas. A position such as Minister-without-Portfolio would have worked. Harry Kalaba, Emmanuel Mwamba, or even GBM would have been great choices. Such an action would have helped forestall a Bemba rebellion within the PF, which is now almost guaranteed. However, it is not too late to act. This now should bring us to the Emmanuel Mwamba issue. Emmanuel was interested in the Kasama seat. Strategically, it was going to be in the interest of both the PF and Lungu’s government to have Emmanuel in Kasama. But for some reason we all do not understand, Lungu seems to insist that Emmanuel should be shanked far away from Zambia’s political hotbed. This is a huge mistake. The PF needs a politically savvy spokesman like Emmanuel to help it retain power next year. Currently, the spokespersons for the PF are doing a great disservice. Chishimba Kambwili is a quick-tempered lead and his off-the-cuff remarks are not helpful at all. The other spokesman, Davies Chama, has also said some unsavory stuff that continue to create problems for the party and its government. Lungu needs people who can talk a little more sensibly for him: Emmanuel fits that bill. Lungu also has Sunday Chanda at his disposal, but Chanda appears sidelined too. I would not be surprised if he too is moved away from the political limelight. Lungu’s strategies are hurting the PF everywhere. You cannot run a political party like this. Something must change, and Lungu has the power to make changes. While, President Lungu is taking his time to act on these issues I have highlighted here, Hichilema’s star is rising among the constituents that had rejected him: the Bembas and the urban areas. Kaloba, devalued kwacha, the high cost of living and quarrels with Cuundu Caitwa are not helping Lungu. GBM is helping in a little way to bring visibility to Hichilema. It will not be too long, before we have the repeat of 1968 when to the consternation of Kaunda; the Chona-Kapwepwe group beat the Kamanga alliance. Those who subscribe to a superficial view of our united nation might slam my sentiments. But those with ears to hear might get one thing or two and make political decisions that unite Zambia and actually change the political landscape for the better. The UPND seems to have gotten the message. I just hope Lungu will get it too: ukuteke mbwa mano! Mr Munshya, you seem to be championing a tribalistic approach to win power. What we need is a party with National representation, one whose power base is the people. I would rather we championed that than appease tribes in appointments so as to win power. A lot have happened in the country and that is a game changer. Yes GBM might create a platform for UPND in the north but what will change the minds of people are economical factors like maize marketing, load shedding, unstable kwacha, unfinished projects, luck of direction by ECL and many more. Otherwise PF and ECL are in serious trouble like our economy is! Just my speculation. GBM on Emmanuel. Ba Mudala might have talked to the man so that he can leave the seat almost tilted to him or meaning to make your vicious competitor take up the back stage. It remains to be seen if really GBM is a game changer for both parties however for me it reminds me of the ANC under Harry Mwaanga Nkumbula whose power base was the Southern Provice and from the voting pattern it seems to have gone to HH of the UPND. However, if the unthinkable happened that GBM took the reigns of power of UPND that to me will definately be a wake up call for ECL , that does not in any way mean that ECL does not need to up his game on the issues you have highlighted.2016 is some months yet and gains made today can be lost then as politics anywhere are very fluidy.